Across the globe, the Ahmadiyya Muslim Community face persecution because of their beliefs. The Ahmadi Community identify as Muslims but do not believe that Mohammed was the final prophet sent to guide mankind. 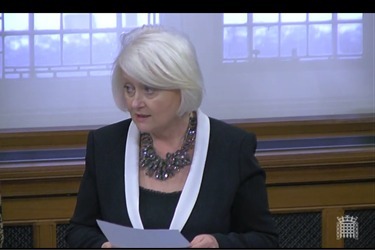 As Chair of the All Party Parliamentary Group for the Ahmadiyya Muslim Community, Siobhain spoke out about this persecution at a Parliamentary debate on freedom of religion. In Algeria, between the Summers of 2016 and 2017, 280 Ahmadi Muslims across Algeria were arrested on the grounds of their faith. Arrests and persecution have continued since this record was taken. In Egypt, Interior Minister, Mr Magdy Mohamed Abdel Ghaffar, has issued arrest warrants for at least 25 Ahmadi Muslims, following which the Ahmadi publications secretary, Ahmed Elkhatib, was arrested at a raid on his home. In Burundi, 13 young Ahmadis were arrested earlier this year. They were attending a religious education class at a Mosque in Bujumbura City when it was raided by the Secret Service. (This specific situation has now been resolved). In Indonesia, Ahmadi mosques have been burned down, some Ahmadis have been denied voting rights and the right to marry, whilst many have been driven out of their homes. In Glasgow, Ahmadi shopkeeper Asad Shah was murdered by an extremist in 2016. Muslim from being re-elected in October 2017, stating that he cannot be a representative of Islam. In Pakistan, since 1984 - 259 Ahmadis have been killed; 183 have been assaulted for their faith; 84 Mosques have been demolished, sealed, burnt or forcibly occupied; 52 Mosques have been banned from construction; and 65 Ahmadis have been denied a burial in a Muslim cemetery. In order to vote in their forthcoming elections, Ahmadis must either sign a declaration that they do not belong to the Ahmadi Community, or acquiesce to their status as non-Muslims. This separate electoral list for Ahmadis is published and publicly available!